I have been amazed at how poorly the car dealerships manage the role of the Internet as part of their customer contact programs. Granted I’m a bit more technically savvy than your average customer, but I suspect most consumers would get pretty frustrated by the lack of response. I have experienced some major disconnects. The best car company online in my experience has been Honda. While their Web site isn’t as robust as some of the other car companies, they follow through on the requests that flow through their Web site. Honda was the only company to actually deliver a real estimate via email. The dealership we contacted, Bay Ridge Honda, did a great job following up on our visit via email and telephone. They really cared. At least they put in the effort to seem like a company that cares. The folks at Life Quality Volkswagen were horrible. They got all of our requests mixed up. I won’t even begin to go there. In fact, if you’re buying a car in Brooklyn, don’t bother going there either. Find another VW dealer, seriously. Toyota hasn’t been very good either. The Bay Ridge Toyota dealer that reached out to us, two months later keeps sending us emails as if we haven’t connected. I spoke with the dealer a while ago and had a good chat. He then sent an initial follow-up email to which I replied with several questions. A week later there was no response, but another email was received. I replied again reiterating the questions. No response. This has gone on for five or six weeks. A week ago I left a message at the dealership to reconnect but the call has not been returned. So, we’ve given up on Toyota too. In an era when car dealers struggle to move vehicles off the lot, you would expect that they’d invest in effective customer service and efficient technology that makes it easier to manage contact and relationships. It’s too bad the destiny of many of these companies is in the hands of such delusional sales people. 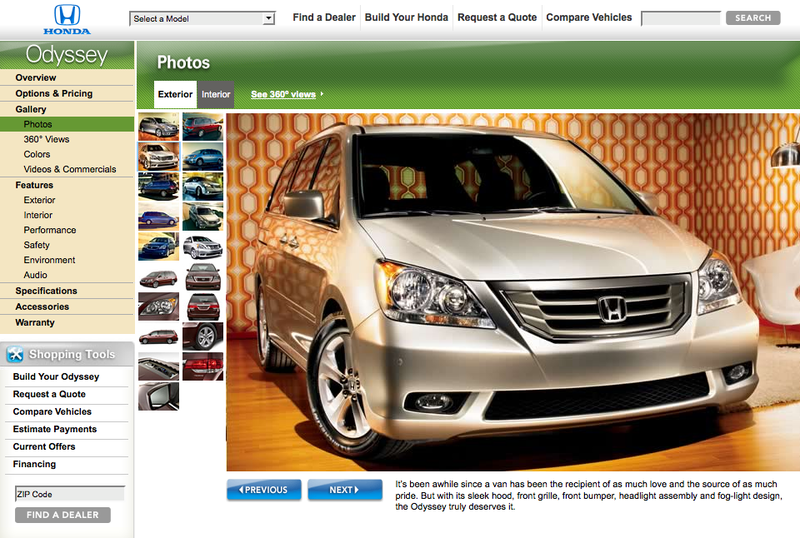 Based on all of this, I have to say that we’re really leaning towards the 2009 Honda Odyssey. Now if only the prices will drop a bit, we’ll be in business.